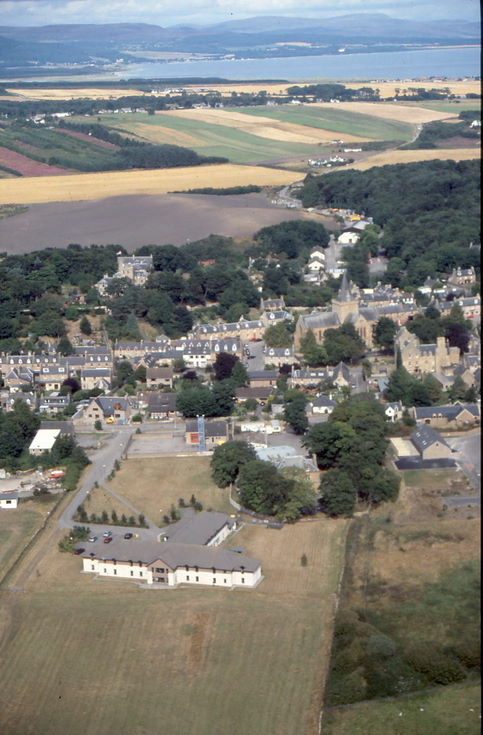 Colour photograph of Dornoch showing 'The Meadows' at bottom, left of centre and Historylinks Museum second building on the right edge of frame, second from the bottom. From a box of 23 colour 35mm slides taken by Peter Wild during a microlight flight in summer 2003. This is the Meadows Nursing Home not Oversteps.